The anniversary of the atrocity committed against the USA has triggered memories of a day some 30 years ago which culminated in a picture-perfect flight into NYC’s La Guardia airport, the approach being down the Hudson River with a sharp turn to port across Manhattan onto the final approach. A stunning afternoon view of Manhattan and the twin towers of the World Trade Centre. However, the story starts the day before. I was marketing & sales director of a company that I’ll call F-Corp (if there’s a real company called F-Corp, I apologise.It’s not you!). I’d been in the States visiting customers and I flew into the town of Binghamton in upstate New York at about 9:00pm one evening. It was early spring, very cold and with recent snow on the ground. Why Binghamton? Well, F-Corp had developed a completely new technology for very high-performance, small, light weight microwave filters. These devices had major advantages in airborne and space applications where light weight and stability in extremes of temperature and pressure were essential. They met the US military’s MIL STD 5400E environmental specifications. F-Corp had been approached by IBM Federal Systems Division (Now part of Lockheed Martin.You know, the SR-71 Blackbird spy plane, the Skunk Works, Area 51 and all that) about the possibility of supplying customised versions of these devices for use in the guidance systems of the MX intercontinental ballistic missile. This later became known as the Peacekeeper MIRV ICBM, which was operational between 1986 and 2005. For details, see below. I went to visit IBM in Owego, New York to sort out the commercials of the contract, and Binghamton was the nearest airport. As an aside, I remember chatting with IBM’s procurement officer, Jim McNulty, and asking him where he’d studied. I’ll never forget his reply “I went to the school of hard knocks”. What a character, an excellent negotiator and a credit to IBM. Oh Deer – My Stag Night ! I got off the plane, went to the Hertz desk and picked up a rental car. On leaving this quiet, provincial airport I set out to drive to Owego to the motel I’d booked for the night prior to the next day’s meeting with IBM. 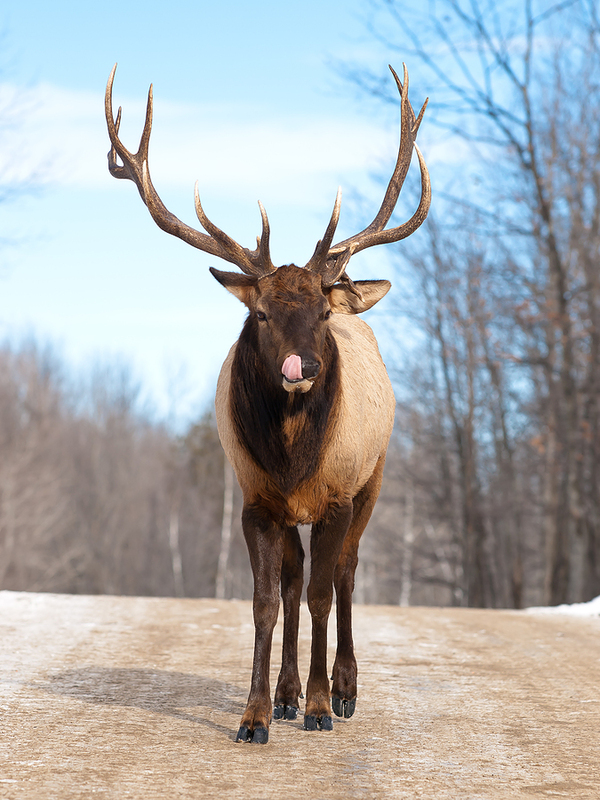 Have you ever seen signs on a highway “Beware of Deer Crossing”? Everyone has, but how often do you actually see one? Well I did on that night. 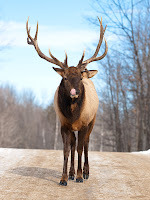 I came round a left hand bend on this deserted, snow-covered road through a pine forest to see this massive stag appear in the headlights. Screech of brakes and a slide into the ditch to narrowly avoid this arrogant beast that just stood in the middle of the road looking down its nose at the car. It then walked calmly back into the trees from whence it came, leaving me to dig the car out with no shovel! The next day, following the meeting with IBM I set off back to Binghamton airport for my flight to New York City. It was a bright, sunny day with patchy cumulus clouds driven by quite high winds. When I saw the plane my heart sank. 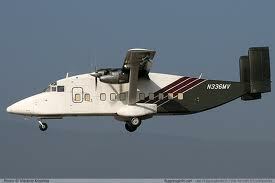 It was a Short Brothers 330, affectionately known by all who flew in it as the Flying Coffin. Not because it was unsafe – on the contrary, they had an excellent safety record. Rather the boxy rectangular shape of the fuselage, coupled with its tetchy roll/pitch/yaw behaviour, endowed it with a very uncomfortable ride in cross winds. Well, what a ride! It’s the only flight I can remember where the flight attendant spent the whole trip strapped in to her jump seat at the back, continually throwing up into a sick bag. My only problem was attempting to compensate for the plane’s motion with a half-full cup of coffee in hand. Not easy (remind me to tell the Al Italia story of the cup of scalding coffee that ended up in my lap – ouch). So, an interesting 24 hours and a view of Manhattan never to be seen again. 1. 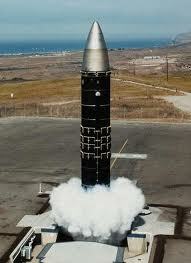 MX Peacekeeper MIRV ICBM. Details at http://en.wikipedia.org/wiki/LGM-118_Peacekeeper. 2. Failure to prevent the 9/11 Twin Towers attack. Get the book “The Shadow Factory” by James Bamford. ISBN 978-0-307-27939-2. If you want the REAL reasons for the failings, then this is the book to get. Hey Will, even I asked to be reassigned after that flight! Not the worst one I’ve been on, but up in the top ten.